Marx's saying "History repeats itself, first as tragedy and then as farce" is one of those ingrained bits of non-wisdom we have to put up with, watching history repeat and repeat as mounting tragedies. But what about Communist apologetics? How do they repeat themselves? Once upon a time, the free press was subverted by communists, fellow travellers, sympathizers and endless quanities of dupes. Thus, Americans, especially including New York Times readers, were told Stalin's state-ordered famine was neither state-ordered nor did it lead to starvation, Mao was an agrarian, Castro a democrat, and other party lines to be found also in the Daily Worker and Pravda. As I look at at tweet above, which pairs two genuine, recent op-eds from the NYT's "Red Century" series, maybe the saying should be: Farce repeats itself, over and over again in the New York Times -- a tragedy for our understanding of history and harbinger of worse to come. Exposing Differences on the "Deep State"
On September 15, I participated in a panel on "Exposing the Deep State," hosted by Judicial Watch. Former Trump White House official Sebastian Gorka, the Washington Examiner's Todd Shepherd, JW's James Peterson, and I all delivered approximately 7-minute statements after which JW's lead investigator, Chris Farrell, moderated a discussion. My written statement is here. Below is my prepared text for the Judicial Watch panel, "Exposing the Deep State," September 15, 2017, which I participated in along with, from left to right, Todd Shepherd of the Washington Examiner, former White House official Sebastian Gorka, moderator and Judicial Watch chief investigator Chris Farrell, and Judicial Watch attorney James Peterson. This text is pretty close to the statement as delivered (and pretty close to the allotted seven minutes) and may be watched here. I find the "Deep State" a little hard to discuss because the term itself is amorphous. Gates of Vienna has republished Fjordman's long and flowing answer to a series of questions posed by The Apricity as an "interview." I would call it an exceptional memoir of the counter-jihad by a superlative European commentator. Originally, I planned to offer some excerpts below with a link to the complete version; however, I have ended up reposting most of the essay with my own subheads and emphases added. The complete version, plus endnotes, is here at GoV. UPDATE: Listen to Frank Gaffney and me discuss the Trump UN speech here, including why it is that "America First" and "American Exceptionalism" are completely separate concepts. If I had to pick a title, I might call President Trump's 2017 UN address, "Something for Everyone." Yesterday, I participated in an interesting panel discussion about "Exposing the Deep State." It was hosted by Chris Farrell of Judicial Watch and you can watch it here. Needless to say, one hour is not enough to expose the "Deep State" -- particularly doing so as an observer, no matter how interested, on the outside looking in. Without whistleblowers (defectors?) galore, us civilians will always be left groping. We can and should, however, round up the clues to its beginnings, which are surely to be found in the exponential expansion of the federal government under FDR. In his four terms, FDR and then Truman, would preside over the massive expansion of a federal workforce that included hundreds if not thousands of Soviet agents, Communists and their supporters, working all over the government, from the White House to the KGB-honeycombed wartime agencies that would soon be reconstituted as the CIA. Some were identified and bounced. According to reliable defector testimony, however, only one ring out of four was unmasked. And there may well have been more than that. MEMRI has posted one mighty revealing clip, headlined: "Russian Ambassador in Lebanon Reminisces about the Days of the U.S.S.R.: We Cared about Human Rights More Than in Other Countries." Right. To call this a "bald-faced lie" is to mince words. But that's not all we can extract from this display. The exchange opens as the Russian ambassador to Lebanon, Alexander Zasypkin, is discoursing in Arabic on "various kinds of socialism," and the "different experiences" of "different socialist countries." Then, seamlessly, he, the Russian ambassador, introduces the subject of human rights. Russian amb: Take, for example, the issue of human rights. In the USSR, we cared for human rights more than in many other countries. NB: I originally posted this in 2015. It still goes. As the Morally Elite purge purportedly sinful symbols and statuary -- surely prepatory for the upcoming main "live" event (please don't say I didn't warn you) -- I suggest they widen their scope of destruction. 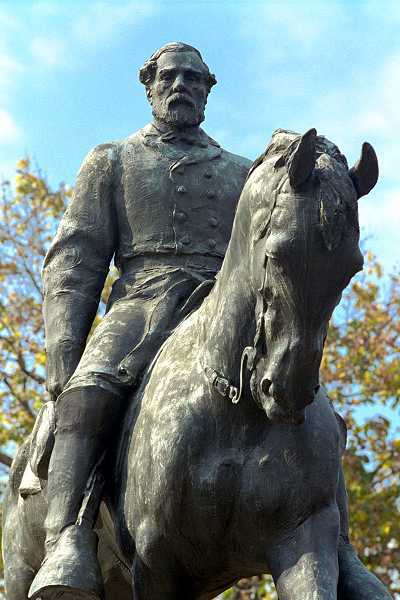 Having moved on from the purge of the Confederate battle flag -- that was soooo easy -- the Morally Elite have turned their sights to the more concretely monumental problems of statuary, schools, streets, etc., that commemorate, for example, the heroic life of Robert E. Lee. To be sure, the flag and Lee stuff is so much skirmishing. The main assault on our Founding Fathers and their crummy Constitution lies just ahead. Was the Founder of the John Birch Society a Fabian Socialist? Interestingly enough, in the Twelth Report of the Fact-Finding Subcommittee on Un-American Activities of the California Senate, there is among the many Communists, Communist groups and front groups under discussion a case study of the John Birch Society, the group founded in the late 1950s by Robert Welch in opposition to Communism. The John Birch Society of Robert Welch mainly survives in popular imagination for its having been "purged" by William F. Buckley from "mainstream" conservatism. 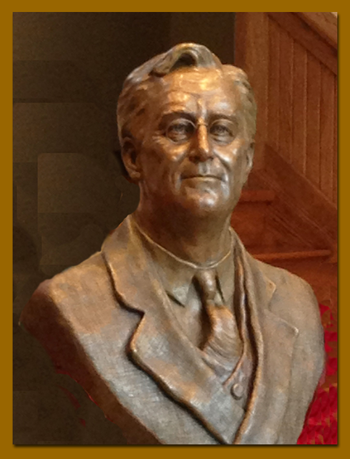 This "purge" not only had the effect of shunting Robert Welch to the sidelines of conservative debate, it also cast out to the margins a wide if not Deplorable swath of Americans who embraced the tradition of "America First"-style non-interventionism and small-r republicanism which were also at the heart of conservative anti-Communism of the day. It's a funny thing not to get a local paper. But I don't. Canceled the Washington Post again a few days ago with pledges not to succomb to that next *daily delivery deal of the century. * The last straw this time was a compound idolatry- and race- baiting frame by which to demonize tens of millions of Americans with forbears in the Confederacy masquerading as a news report: "White Virginians Feel Pressure over Lee Worship." Who needs such toxicity inside the home? Only a small stack of Posts remains (bar-b-que kindling, crosswords for my mother) but I still found one last gem. It was in the travel section. No, not in "How to stay safe if terror strikes while you're abroad" or "Dubai: Shopping the city's bustling gold, spice and textile marketplace." It appeared buried deep in the column inches of "Sprinting through Beijing" by Debra Bruno.